Warren Marr has a worldwide reputation as a master interpreter of eloquently expressive images. His personal work, some of his which is displayed on this website, has been represented by Vision Gallery in San Francisco, Photography West Gallery in Carmel, Turner Krull Gallery in Los Angeles, Craig Krull Gallery in Santa Monica, Ansel Adams Gallery in Yosemite National Park, and Wiford Gallery in Santa Fe. 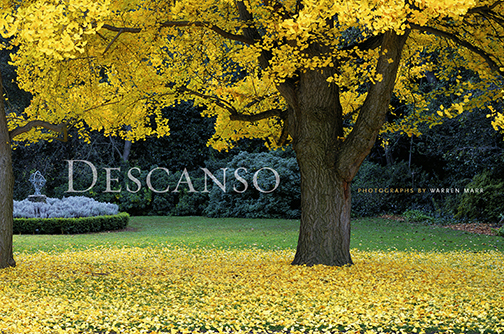 He is the author of Descanso: An Urban Oasis Revealed, a year long panoramic study of a botanical garden which won the USA Book News 2007 Best Nature Book award and third prize in the 2007 PX3 Prix de la Photographie Paris Book Category. 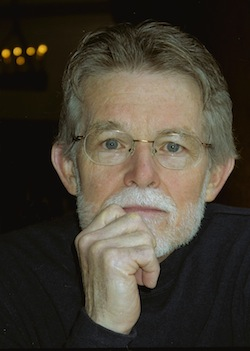 Published in numerous books and periodicals, his images have also been seen in advertisements, brochures, and billboards for companies that include General Motors, National Geographic, and Delta Airlines. He has photographed more than 65 golf courses, most of them in Southeast Asia, and in 2006 he was the subject of an LA Times feature article and a KCET television feature. His esthetic and technical mastery of panoramas, developed over an almost 50 year photographic career, allow an exploration of the edges of reality, presenting images unique to his own point of view. Camera Arts Magazine, October/November 2004, “Finding The Spirit of the Scene”. LA Times, Home Section, May 10, 2007, ”Descanso, seen in a singular light”. Collection of 54 large format panoramic images taken as an intensive study of Descanso Gardens in La Cañada Flintridge, CA (a Los Angeles suburb) throughout 2003. Hardcover & softcover. Out of Print but sometimes available online . This classic image from 1989 of a now mostly vanished scene showing a close up of tufa formations with the moon rising in the background over the water. Printed in 1999 by Gardner Lithograph on beautiful coated paper stock. 19 3/8" X 35 7/8". Signed, includes tax (in CA), shipping and handling.